Available for only $2.19 per oz over spot! The latest in-demand coin from the Perth Mint is the all-new Silver Australian Kangaroo coin. Joining the list of annual sovereign products from the mint, the Silver Australian Kangaroo features the most iconic native species from the continent. 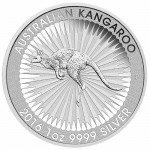 In this unique product listing, the 2016 1 oz Silver Australian Kangaroo Coin is available in bulk purchases of 25 on Silver.com. 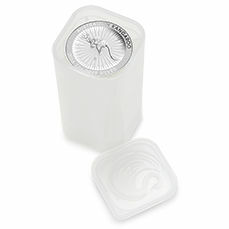 Ships in a sealed acrylic Perth Mint Tube of 25 coins. Each coin consists of one troy ounce of .9999 pure silver. 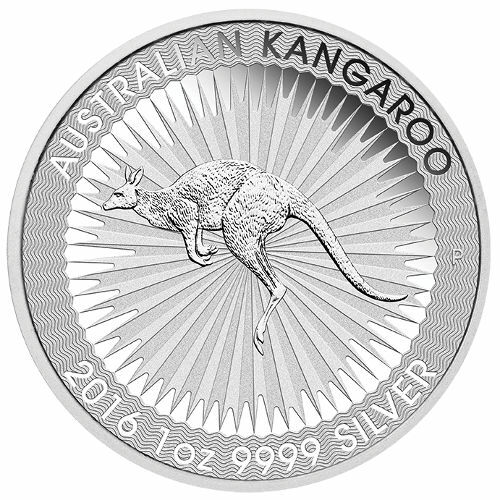 Features the all-new Silver Kangaroo design. Includes an engraved security feature. 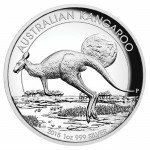 In this special product listing from Silver.com, the 2016 1 oz Silver Australian Kangaroo Coin is available to you in an official Perth Mint Tube containing 25 individual 1 oz coins. This provides you an excellent opportunity to invest in 25 troy ounces of silver, worth a total face value of $25 (AUD). Each coin has an individual purity of .9999 silver. 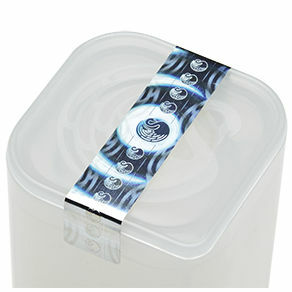 These coins ship to you in sealed acrylic tubes courtesy of the Perth Mint, ensuring the quality of the coins inside. This is the first year for production of the silver bullion Australian Kangaroo coin. A simple image of a jumping kangaroo is featured on the reverse side, with all-new authentication features included in the reverse design. Along the top is an engraving that reads “Australian Kangaroo.” Inside the first letter “A” in the word Australia is a micro-laser engraved “A,” which is only visible under magnification. On the obverse you’ll find the familiar image of Queen Elizabeth II. 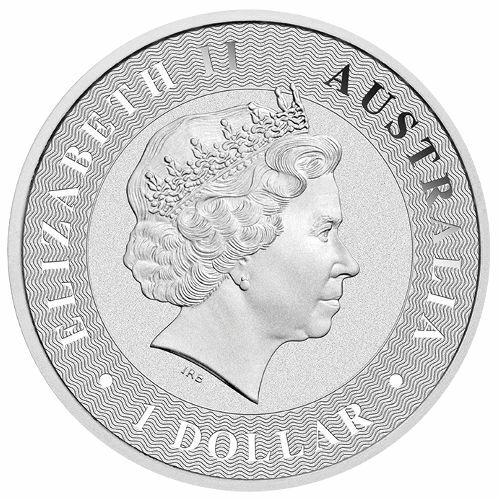 Her Majesty’s effigy has been used on Perth Mint coins for almost two decades, as this particular design was completed in 1998 by Ian Rank-Broadley. The Perth Mint is the oldest and most respected mint facility in Australia. Originally part of the British Royal Mint system, it is now property of the state government in Western Australia and is considered a separate entity from the Royal Australian Mint. All of its coins do enjoy legal tender status under the Currency Act of 1965. Silver.com encourages shoppers to reach out to customer service with questions. Our associates are available at 888-989-7223, online through our live web chat, and via email. If you are looking for similar products, check out Silver.com’s full collection of Perth Mint Silver Coins.